Warped Tour had its last official run of shows in 2018, but is now returning in celebration of its 25th anniversary. Vans has planned a series of shows for this summer featuring classic emo and pop punk acts, with one day of shows in Cleveland, OH and two days in both Atlantic City, NJ and Mountain View, CA. 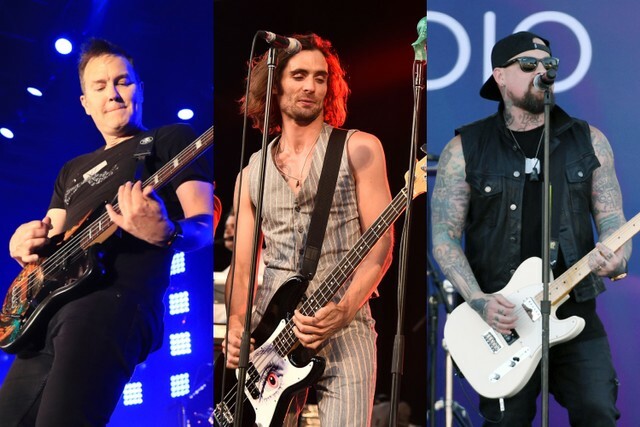 The lineup includes Blink-182, the All-American Rejects, Good Charlotte, Taking Back Sunday, Dance Gavin Dance, Gym Class Heroes, Bowling for Soup, Simple Plan, Sum 41, We The Kings, the Offspring, and many more. Each show will feature a different lineup, though some bands are playing multiple shows. The Cleveland Show will coincide with the opening of a new Warped Tour exhibit at the Rock and Roll Hall of Fame called “Forever Warped: 25 Years of Vans Warped Tour.” The exhibit and opening concert are set for June 8, with the Atlantic City and Mountain View shows happening on June 29/30 and July 20/21, respectively. Said Warped Tour founder Kevin Lyman of 2018’s farewell shows: “It was truly an honor to do a final cross-country run of Warped in 2018; to see fans from all eras of the tour come out for a day to celebrate an event that meant so much to them.” Now, fans will have another chance to celebrate the 25-year legacy of the iconic tour. Tickets for Warped Tour’s 25th anniversary are available on the official website.